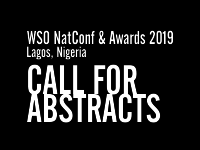 You are invited to send your abstract to the WSO National Conference and Awards on Health, Safety, Security & Environment (WSO NatConf & Awards 2019), you have to send your abstract on or before the abstract submission deadline. The abstract must first pass a double-blind peer review and if it is accepted by the reviewer, we will send you the abstract acceptance notification. Upon payment of the registration fee, your presentation will be confirmed. To ease the submission process and the subsequent follow up process please click here for guidelines, information, tips and terms mentioned. Final Abstracts submission: July 31, 2019. Final conference registration for all presenters: August 15, 2019. Upon payment of the registration fee, you will be sent a confirmation email receipt. Please note a single registration permits only one person to attend the conference, if the co-authors would like to attend the conference their registration is required to be made independently. However they will be given a discount from the Non Speaker’s (Listener’s) registration fee. Please make prior communications with regards to this matter to enjoy the benefit of the discount. This Conference provides you the opportunity to present your research paper under the conference tracks. Please submit your abstracts according to the deadlines above. Be a presenter at the WSO NatConf & Awards 2019 by selecting speaker option during payment after registration. Please set your spam filter to accept messages from “@worldsafety.org.ng”. Contact the main conference coordinator at conference@worldsafety.org.ng in case you do not receive an acknowledgment/follow-up email from the conference secretariat after sending in your abstract, registrations or inquiry within 72 hours. Please check your spam/junk folder in prior to making inquiries regarding your concern.